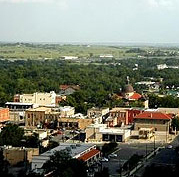 Bill Taylor received his first license to practice insurance in 1974 after graduating from Southwest Texas State University. He spent some time in the bowling business prior to that time, which set the stage for the eventual path the agency would follow. In 1977 he insured the first of many bowling centers that would become the agency’s niche. Bill earned his Certified Insurance Counselor designation in 1982 and also became a Licensed Risk Manager. Although the company was (and is) a full service insurance agency, over time Bill and his business partner Judy have become more and more involved with the recreation industry, especially bowling and skating establishments. Today, Bill and Judy concentrate most of their time in servicing these businesses, while Colleen Aguon manages the rest of the agency. 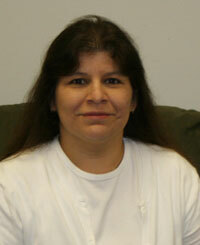 Colleen is our commercial lines Customer Service Representative. She works with our commercial clients to provide insurance quotes, order new and renewal policies, submit change requests to the carrier, and she assists with any claim filing procedures. She is a proud graduate of Humboldt State University and began her insurance career as a data entry clerk for a health insurance carrier. Since making the switch to Property and Casualty insurance, she has made it a point to further her insurance education in an effort to provide the best possible service to her clients. She holds a General Insurance Certificate, the Accredited Customer Service Representative designation, as well as a Texas Property & Casualty Insurance Agent license. She has also earned the prestigious Certified Insurance Counselor designation. She is dedicated to ensuring the overall customer satisfaction of our commercial clientele; if you are Colleen’s client, she will go the extra mile for you! 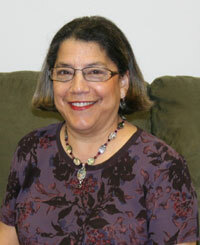 Virginia has been with us for about 12 years, but has been in the insurance industry since 1973. She earned her license in 1987, has had her ACSR designation since 1997, and she continues to keep her Continuing Education current. As a Personal Lines ACSR, Virginia processes new business, claims, and changes to policies. 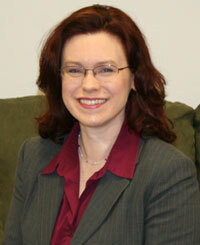 She also handles billing questions and researches and resolves general problems. Cathy, our Bilingual Customer Service Representative, is a producer for our Personal Lines Auto, Mobile Home, and Homeowners’ Insurance products. In addition, she also does some individual Marketing. She has over 11 years of experience with a major insurance company, as well as nine years of experience as an insurance agent. She has a strong background in Personal Auto and Homeowners’ Insurance. Tony Chapman has been a licensed insurance agent since 1999. He's been practicing in the Austin area for the last 9 years, but we are now proud to have him bring his knowledge and experience to our agency. 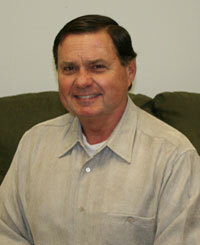 Tony is also a life long resident of San Marcos and understands the needs of the community. His father, Charles W. Chapman, planted him and his sisters Melissa and Christie here when he became District Attorney of Hays County and Tony's loved it here ever since. He can help you with your Auto, Motorcycle, Boat, Mobile Home, Homeowners and Business Insurance. “My main goal is to provide the best service possible. Whether you are an existing customer or a prospective customer, everyone gets the royal treatment with me”. Matthew has insurance experience in both personal and commercial lines as well as in life and health. He graduated from The University of Texas Pan American where he earned his BBA before moving to Central Texas. Matthew's background includes working in the oil & gas industry of South Texas, postage and financial industries which led him to insurance. Matthew enjoys building relationships with his customers, educating them about insurance and making sure that their policies are built for their specific needs.